View the entire table of contents for the April 30, 2011 issue. Blessed with a diverse geography featuring a generally beneficent climate, Portugal grows a lot of grapes. Quality is improving among the country's table wines, and bargains abound. Yet this diversity comes with provisos: Too many mediocre wines are made from marginal grapes, and Portugal lacks a strong identity among consumers. Wine Spectator senior editor Kim Marcus explains. 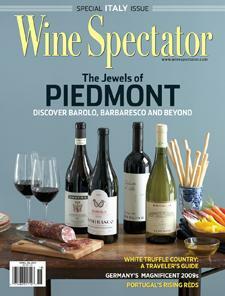 For the full article, check out the new issue of Wine Spectator, on newsstands March 29, 2011.